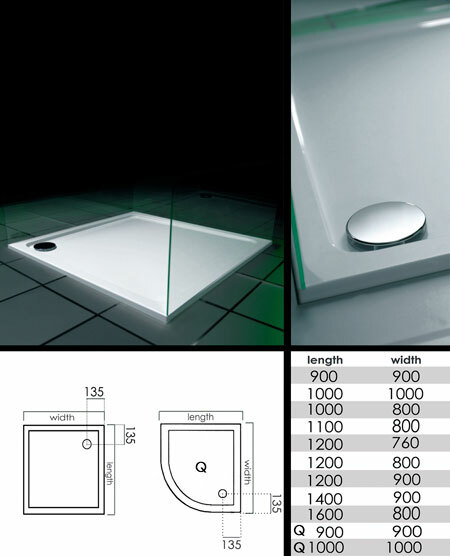 This thin low level shower tray has a total height thickness of only 45mm .With its slim shower tray styling this is ideal design choice for contemporary bathrooms where a flush walk in enterance is required. Each thin tray is made of rigid stone resin finished in a gloss white and has a 90mm rapid draining waste and trap which allows a flow rate of up to 32 litres per minute. * 11 shower trays sizes.